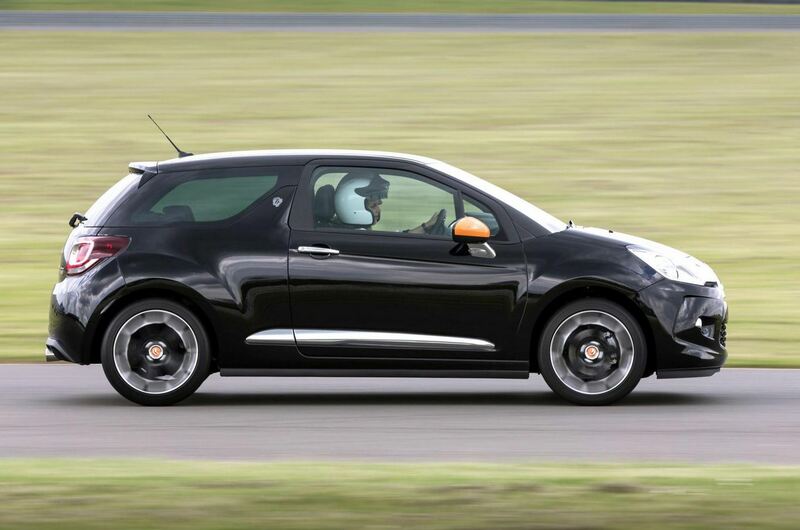 The French automaker has recently unveiled the latest version of Citroen DS3, named Citroen DS3 DSign Noire. It was designed especially for ladies, in collaboration with Benefit Cosmetics U.K. The special edition DS3 DSign Noire has received Perla Nera Black metallic bodywork, a grey fishnet graphic roof and 17-inch Bellone alloy wheels. Other visual enhancements include Benefit Orange side mirror caps, wheel centre caps, a Benefit badge in the rear side and grey “Gabbi’s head” Benefit logos on the B-Pillars. 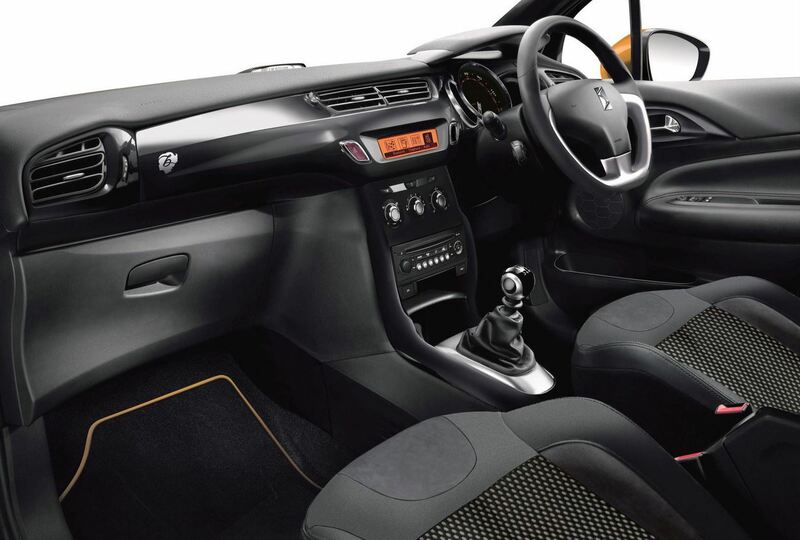 On the inside, ladies can find Mistral Akinen Alcantara and Mistral Cloth sports seats and velour floor mats. Other highlights of this hatchback include LED Signature 3D tail lamps, LED daytime running lamps, air conditioning, Bluetooth connectivity, a premium Hi-Fi audio system with a boot mounted subwoofer and a make-up bag filled with Benefit cosmetics. Citroen DS3 DSign Noire takes its power from a 1.2-litre three-cylinder engine that develops 82 horsepower and 118 Nm of torque. 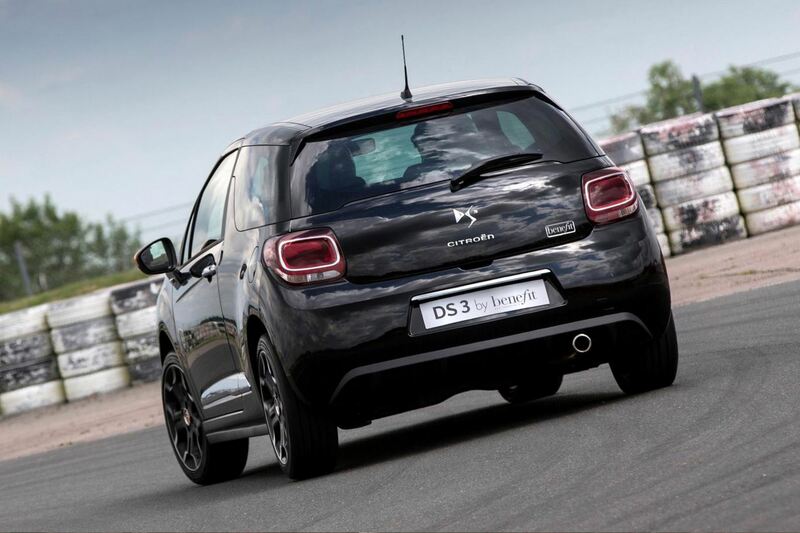 Output is transferred to the front wheels with help from a five-speed manual transmission which allows DS3 DSign Noire to reach 100 km/h from a standstill in 14.2 seconds and a top speed of 173 km/h. 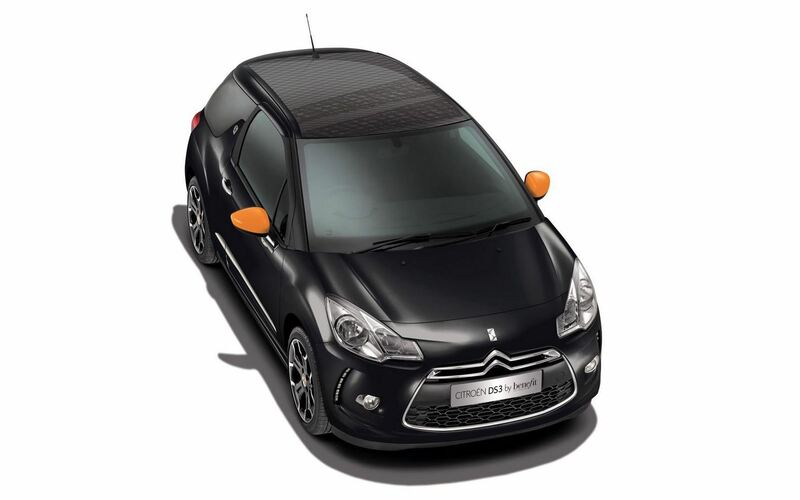 Citroen DS3 DSign Noire is currently on sale with prices starting from almost £15.000. This entry was posted in Citroen and tagged Benefit Cosmetics, Citroen, Citroen DS3 DSign Noire, Citroen DS3 Special Edition, French automaker, hatchback. Bookmark the permalink.